The birthday girl with her cake. 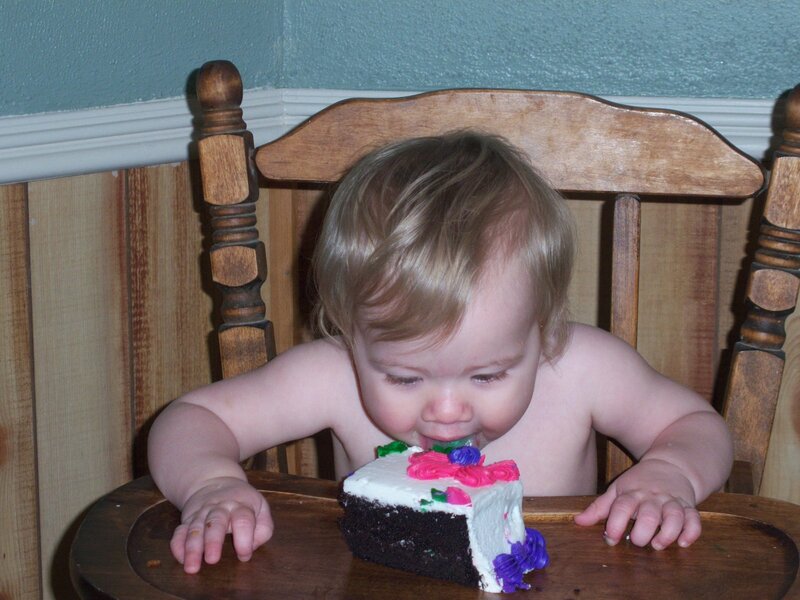 She went with the no hands method of cake eating. 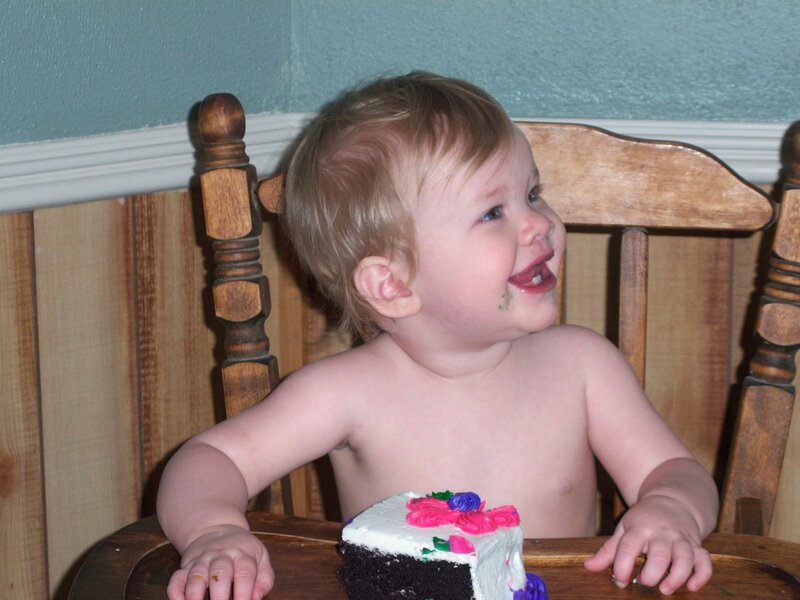 She actually didn’t eat a whole lot of cake before she let us know that she was done. By trying to throw the rest on the floor. Where did this last year go? Happy Birthday Kalena? I hope you enjoyed your birthday cake. Happy Birthday! 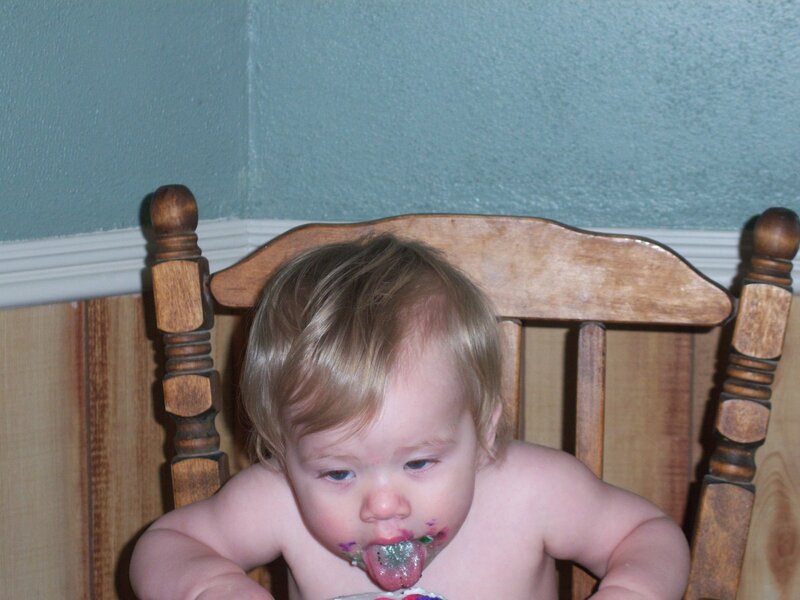 And where did you find that highchair? It is so cute. Actually, we got the highchair from Brian’s mom. It was his when he was a baby. clean up is always the best part after a one year old! 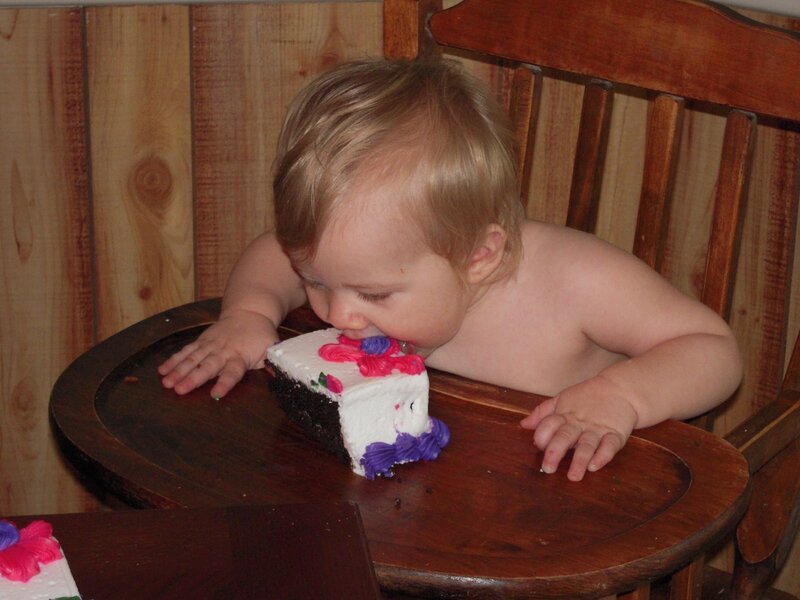 I can’t wait for Millie’s first year birthday cake. So fun! 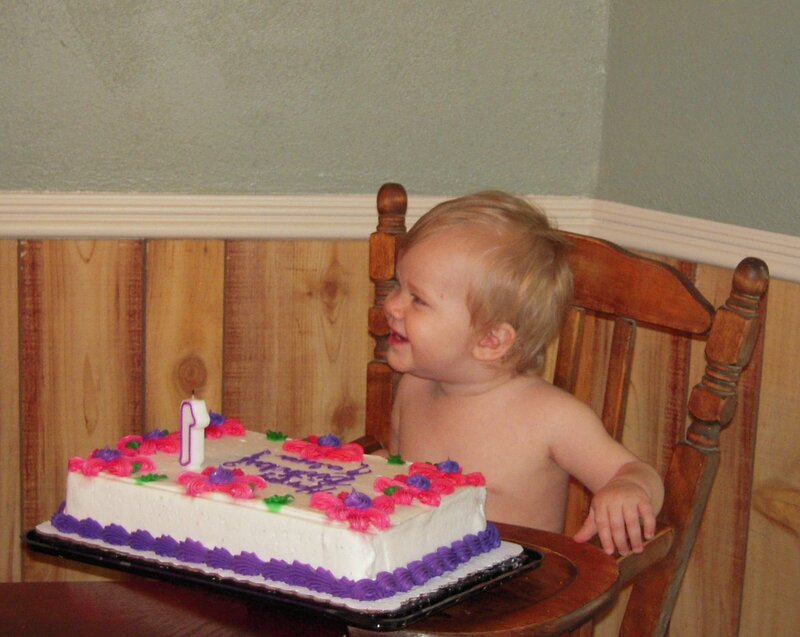 Perhaps this shows I’m not a parent, but I feel obliged to point out she’s wearing her birthday suit. Has she out grown all her clothes already? ;)Amazing what happens in a year!